The “Optimized iTunes Summary from Blog Posts” option creates a friendlier view of your post/episode content by maintaining links within the podcasts iOS app and reformatting ordered and ordered lists with asterisks for readability on both podcast iOS and iTunes desktop apps. Optimized iTunes summaries are ideal if you like to format an iTunes summary from your blog post content in a readable manner without having to write a separate iTunes summary. To understand, see the example podcast episode web page. Because of restrictions with iTunes, HTML is stripped from your posts, leaving a less than desirable description of your episode. The “Optimized iTunes Summary from Blog Posts” option in PowerPress takes your blog post content and generates an optimized description which is easier to read from within iTunes and maintains web links within the podcasts iOS app. Note, links with mailto: tags are not supported by the Apple Podcasts iOS app. 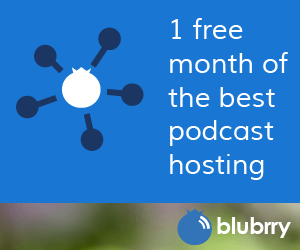 This feature is exclusively available in the Blubrry PowerPress WordPress Podcasting plugin.